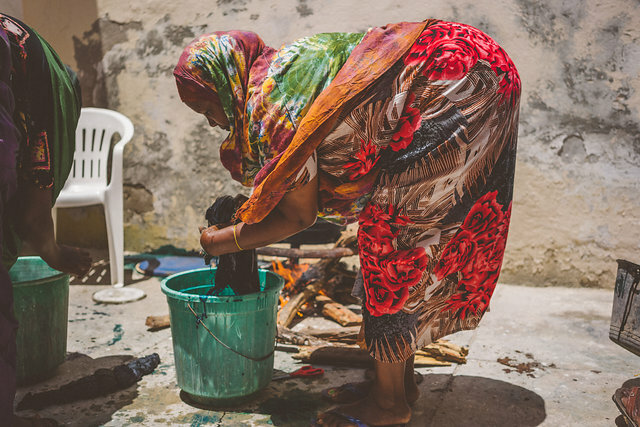 We recently visited Mogadishu, Somalia to check on our current projects and dream of new ways to make a difference. Here’s a travel log update from one of our team as she experienced the joy and heartbreak of the this beautiful country. My eyes were glued to the window of the plane as I tried to comprehend the devastating contrast of picturesque, beautiful coastline and war-torn, dusty landscapes overlapping one another. How such an incredible place could be cluttered with the aftermath of destruction was both heartbreaking and confusing. We stepped off the plane and were greeted by heat levels rivaling those of the interior of black car baking in the mid-summer sun. To top it off, I immediately had to wrap my head in a scarf and put on my thick bullet proof vest. Both accessories are unnecessary back home in San Diego but have become my lifeline in Somalia. Quickly, we hopped in a bulletproof SUV flanked by a security team of six Somalians who carted us to our hotel. After passing through five tightly protected security gates, we were finally able to get to the lobby. The hotel staff explained they had to sign contracts making themselves responsible for our lives. If that isn’t a tough pill to swallow, I don’t know what is. 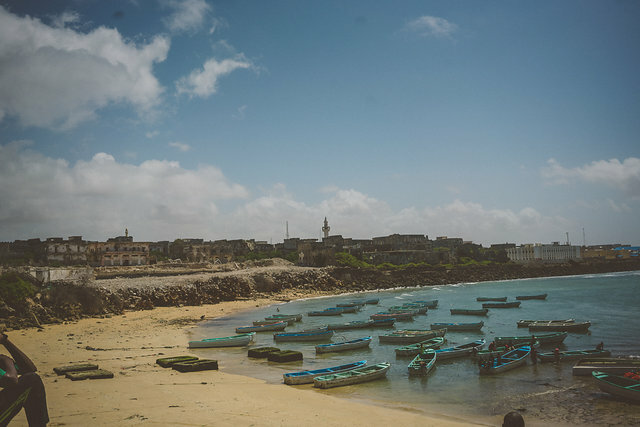 Throughout our trip in Somalia, we were only able to stay in one location for no more than an hour and a half for fear of attacks from people from the terrorist group Al Shabab or other individuals. So why, you ask, would we continue to pursue work in such a risky place? Despite the difficulty in this land, there are incredible people staring fear down in pursuit of a greater hope. We visited our safe house where six courageous women live with their children. All of these women have stories of abuse and heartbreak and loss of their freedoms before they arrived here. And yet, hope is not lost on them. Despite having experienced some of the worst things my ears have ever heard, they have big and bright plans for their futures. I’m beyond proud of the way they are fighting for not only themselves, but for their sweet kids. So we will stand beside them because they matter. Our plans for what’s next in Somalia include a bee farm to provide new revenue and sustainable jobs. We also are hopeful to start a school soon for children whose only choice has been to become soldiers. They were dragged into a life of darkness and we believe they should have the opportunity to walk into the light. We believe education can change the entire course of their futures. As our trip comes to an end I will leave Somalia with my heart a little more broken, but because of the examples of hope I’ve witnessed, I leave a little more brave. If you spend enough time around people who are courageous like our friends it rubs off on you. We’d love for you to be part of the story in Somalia.